Olivia C Davies is an independent dance artist and choreographer whose work investigates the body’s dynamic ability to transmit narrative. Her choreography explores shared history, personal legacy, and blood memory; aspiring to speak to the vulnerability of the human experience. Davies honours her mixed Welsh-Metis-Anishnawbe heritage in her Contemporary Aboriginal dance-theatre practice. Tai Grauman is a Métis Iroquois and Métis Cree actress, accomplished dancer, classical guitarist, director and playwright, originally from Ardrossan Alberta. She is currently in the BFA Acting Conservatory Program at UBC and is pursuing a double major in First Nations Studies. Tai is also playwright in residence for the UBC Players as well as part of the Gateway Conservatory Program. She was nominated for Vancouver's Mayor's Emerging Theatre Artist of 2015 by Margo Kane. In the future she hopes to pursue a master in directing and then a PhD in Métis theatre. Taran Kootenhayoo is a denesuline half-breed; emerging actor, spoken-word poet and playwright. His play Poets Have No Strength premiered at Tom Cone: Sacred Space Festival of New Plays and Chiliwack’s Director’s Festival. On stage, Taran has most recently performed in Salmon Girl (Raven Spirit Dance), Beneath the Surface (imagi’Nation Productions), The Good Person of Setzuan (Exit 22), and numerous independent films. Since graduating from the Acting for Stage and Screen program at Capilano University, Taran has signed with Premiere Talent Management. 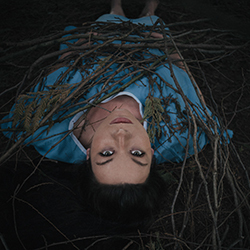 Jeanette Kotowich is a Vancouver based professional contemporary Aboriginal dance and performing artist. She holds her Bachelor of Fine Arts from Simon Fraser University, BC. Jeanette is a seasonal dancer with Dancers of Damelahamid, Raven Spirit Dance, and Compaigni V’ni Dansi. Honoring her Cree Métis heritage (originally from Saskatchewan) as a source of inspiration and reference point in her work, Jeanette is passionate about investigating a blend of contemporary and Indigenous practices. 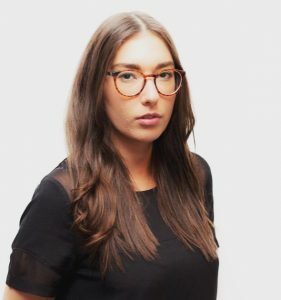 Lindsay Lachance, born an urban displaced mixed Canadian and Algonquin Anishnaabekwe is a PhD candidate at the University of British Columbia and has a Masters in Theatre Theory and Dramaturgy from the University of Ottawa. She is a sessional instructor First Nations & Indigenous Studies at UBC. Lindsay is an active theatre professional, reviewer and scholar and has presented her research at six international conferences. Her areas of interest include performance as politics, the physicalization of spirituality in time and space, and the multiple creation processes of Indigenous dramaturgies. Lindsay is a member of Full Circle First Nations Performance and Indigenous Performing Arts Alliance. Ashley Michaels was born in Winnipeg and is from the Métis Nation. She was in the theatrical productions Lily Alta and Voices of the Fraser. She was selected out of many across Canada to appear in the NBC’S Four Directions Showcase (The Baby Blues) in New York City. She has worked on Da Vinci’s City Hall, Edna Brown, Elsewhere, Edison and Leo, representing one of the missing women on the Highway of Tears in Snare, Tornado Valley, Strange Empire and Stories of the ER. Ashley currently plays Aunt Velma in Mohawk Girls. Deneh-Cho Thompson is an emerging director, actor and playwright based in Vancouver. 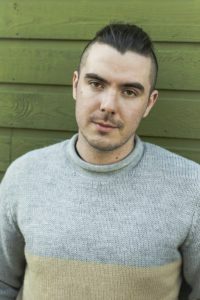 In 2009 he co-founded workingclasstheatre, an indie theatre company dedicated to producing new works, providing training opportunities and showcasing the work of emerging artists. Deneh is also Producer at The Greater Vancouver Professional Theatre Alliance, and Associate Producer at Full Circle First Nations Performance and the Talking Stick Festival.